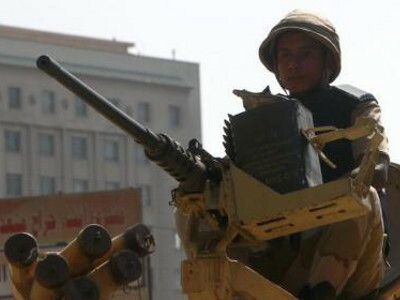 Egyptian police have killed seven people in connection to recent violence against Christians that included three church bombings and a shooting which left around 100 people dead, the Interior Ministry said on Thursday. Police found militants hiding in a desert training camp “as part of the ministry’s efforts to track down fugitive terrorist elements involved in violence witnessed by the country recently, including targeting the Christian community and their places of worship,” it said in a statement. Security forces attempted to arrest the men who opened fire. Police returned fire and have so far found seven bodies as well as weapons, a motorcycle, and military uniforms.